I provided the Highgate wedding photography at St Joseph’s Church, North London last Summer, and it was that gallery that brought Julia to my website. She and Gary were planning a small family wedding at the church. The reception afterwards was at Villiers Terrace in Crouch End. They valued the kind of natural documentary wedding photography that I specialise in. I began my coverage at Julia’s flat with her Father and two bridesmaids. Following that I moved to the iconic Catholic church in Highgate. St Joseph’s is a great church to photograph in. There’s a wonderfully high dome over the altar. Because of it’s position on the hill, there’s always great daylight flooding in through the windows. It has some great architectural details as well. All of which can all be used in the compositions to give the set of pictures a sense of place. After a beautiful ceremony, we headed across the road to Waterlow park to do some very quick family group pictures and some portraits. It was a bright, sunny Summer’s day, so I was able to use a lot of the park to make some great portraits. After the portraits we joined the rest of the 30 or so guests at Villiers Terrace for the Wedding Breakfast. The pub also has some pretty nice features that helped with the photography. After the cake cutting the celebrations continued into the bar in the early evening which is where my coverage ended. Here’s some of my favourite images from the day. Don’t forget to check out some more of my most recent weddings on the blog. 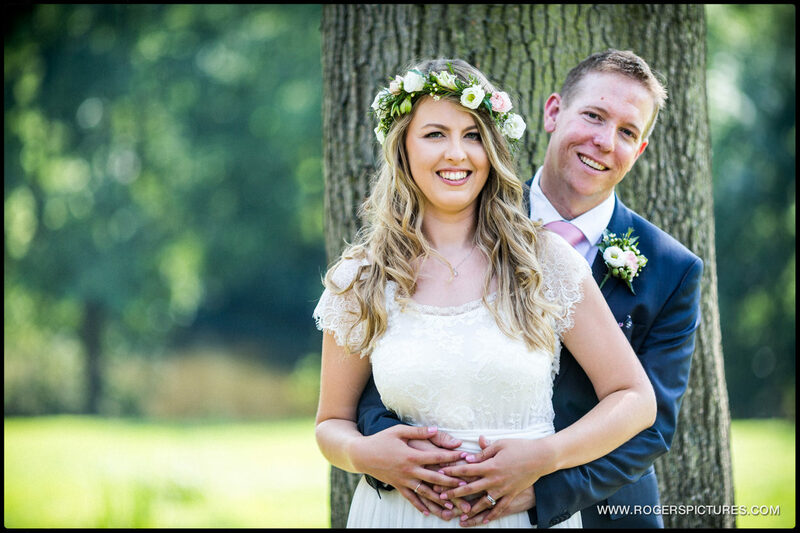 If you’re planning a wedding and have enjoyed this Highgate wedding photography send me an email.